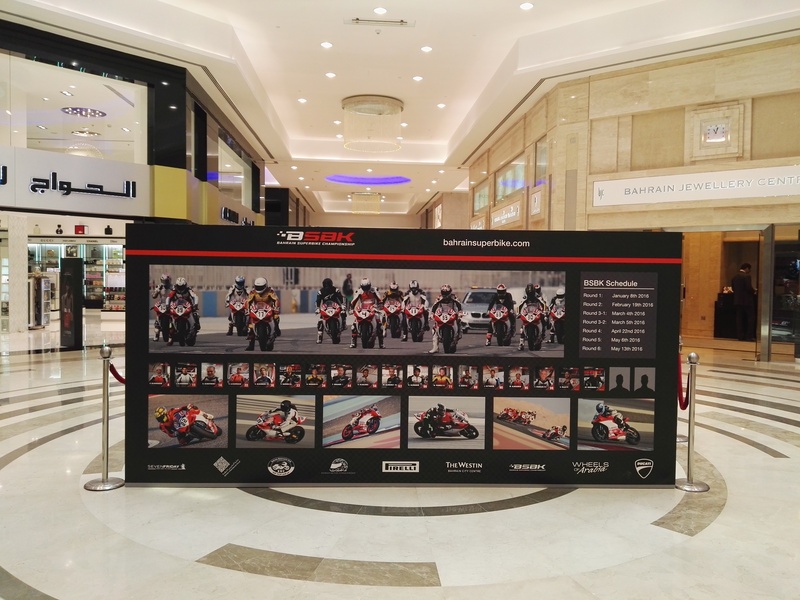 A glimpse of what Wheels of Arabia has been doing for the last months of the Bahrain Superbike Championship season 2015-2016. 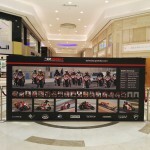 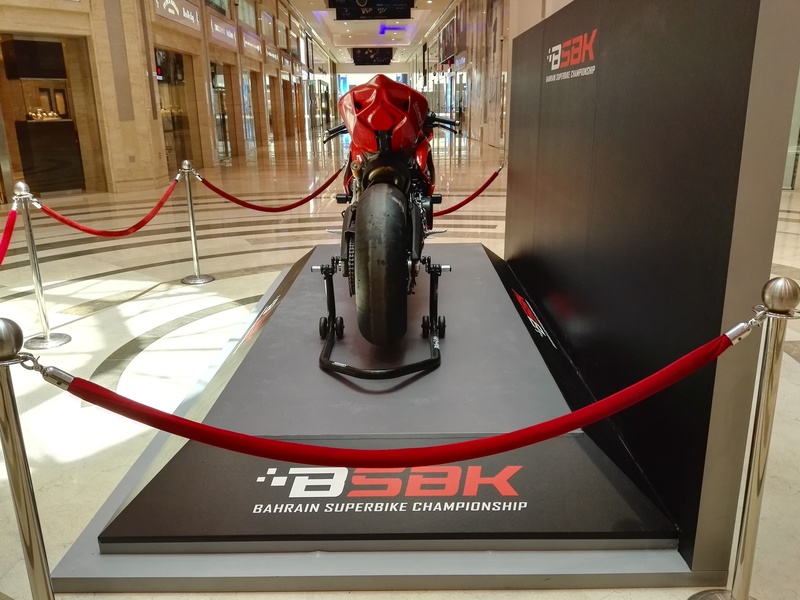 As a host of this unique race activities in the kingdom of Bahrain, last Month, Wheels of Arabia displays the beloved “Beast of the track” in one of the luxurious mall in Bahrain, The Moda Mall. 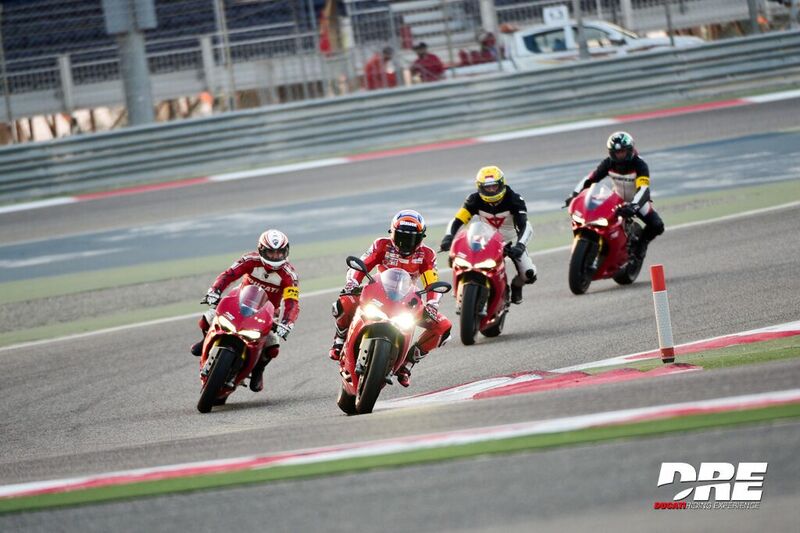 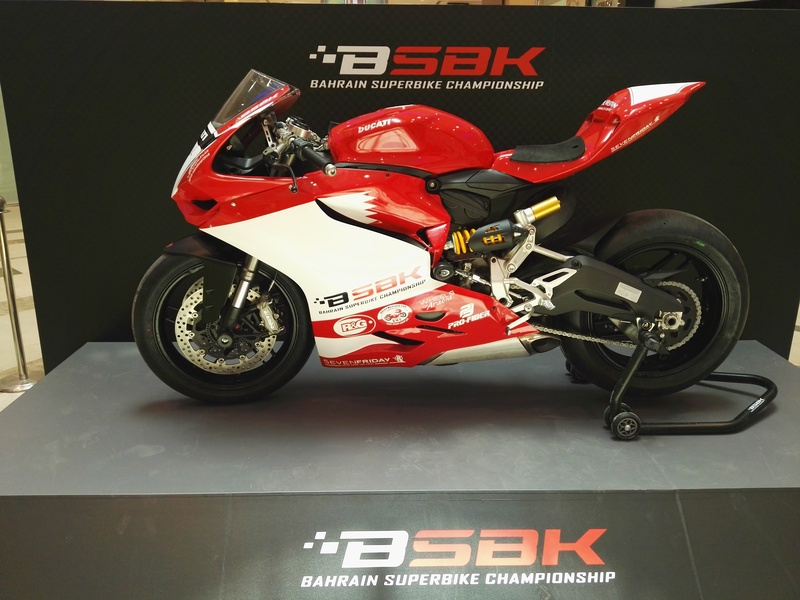 This is to promote the racing event Bahrain Superbike Championship in the Kingdom for public awareness. 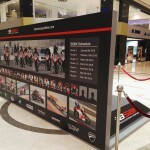 Located at the heart of Manama, Moda Mall is situated in one of the prestigious landmark of Bahrain – the Bahrain World Trade Centre. 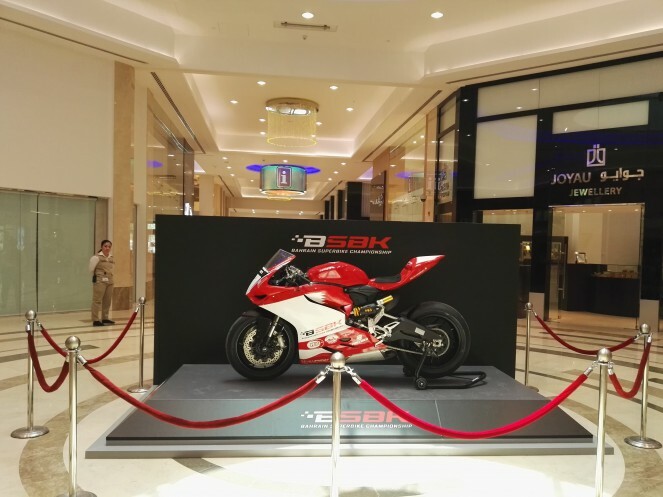 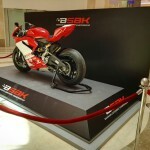 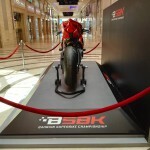 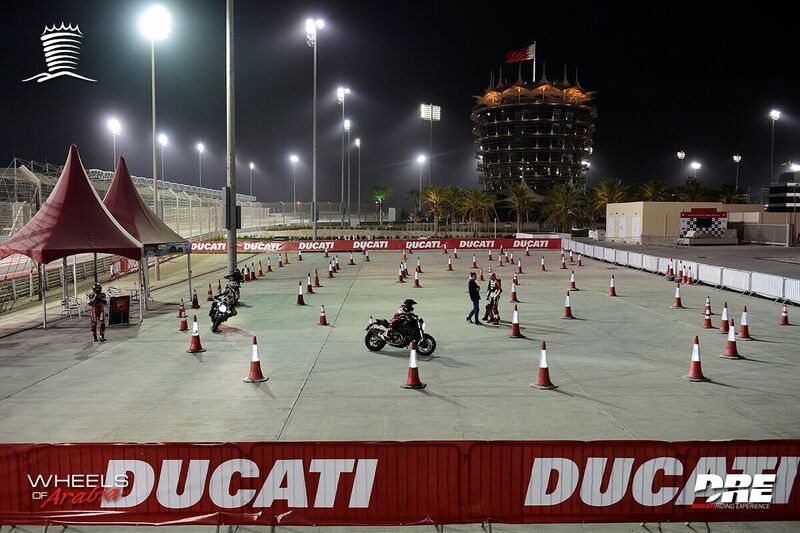 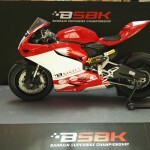 Bahrain Superbike Ducati 899 is currently at display inside Moda Mall and is visible to all BSBK fans, followers, superbike lovers or even to all racing fanatics. 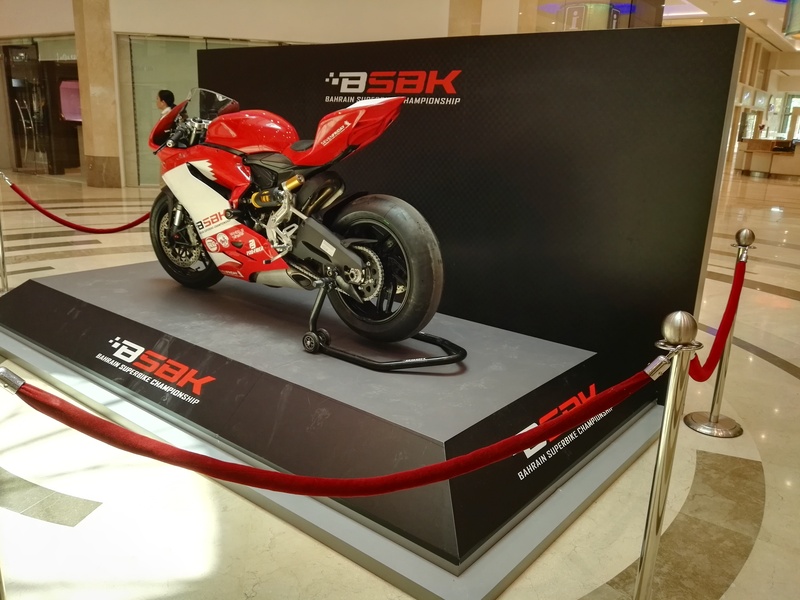 Check our display stand and have selfie with it and tag us @bahrainsuperbike @wheelsofarabia.